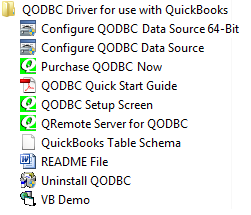 I have installed QODBC, but can't find the VB Demo in the program group of QODBC Driver for QuickBooks. Where can if find VB Demo? You could simply search your computer using the keyword "VBDEMO32.EXE".